CIBC – The experience here was a very good one. I went to the local branch and asked to speak to someone about my mortgage. A nice gentlemen offered to help. After I explained my own mortgage background and what I was looking for he had the courtesy to say he needed to follow-up with an associate. I appreciated that very much. The next day the associate called me and asked when we could meet. Since this was downstairs from where I work, I met with him right away. The meeting was quick, informative and to the point. They offered me a great cash back at a 3.15 fixed rate for 3 years. After doing the math the net principle at end of 3 years was about 20,000 lower than other options. I thought this was a great option and thanked the associate. He did inform me that he could only do a 30 day lock on the rate so that we should talk again closer to my mortgage maturity date. That means about 70 more days before I pull any triggers. So far this is the best deal I have found. CIBC also promotes no switching costs, but I will need to look into that a bit further. I closed the conversation stating that if that was all he had to offer then it was not very competitive. He then began telling me about how I could reduce my monthly payment. This was the last straw for me since I clearly told him in my schpeel that I’m looking for the best way to reduce my principle by as much as possible. Due to his inability to listen, I interrupted him and said I has late to an appointment. For better or worse Soctiabank is out of the race for my business. Lastly, I called a mortgage broker that I have used on and off over the years. He is the brother of a close friends wife. I feel this makes him close enough to give me the straight info. After speaking on the phone for a few minutes I told him the deal that CIBC was offering me. He tried a bit of double talk, but I then sent him the numbers I had worked out. At this point he responded that CIBC was making me a very good offer. Next steps will be to approach a TD Canada Trust branch that my friend feels is very competitive. Will see what they have to say about trying to get my business. At the least after I speak with them I will know what I need to lock in 30 days before mortgage maturity. I remember September 2002 like it was yesterday. I was working for a digital marketing company downtown Toronto. The company was named DoubleClick and the .com bust had just started. I was a fledgling Project Manager working on small on-line custom projects for elite client’s, based primarily in the US. Ad dollars started drying up, but the company was still hopeful for its future. I realized that I would need to find a way to distinguish myself from other project management practitioners, and was researching the best way to do that. The company I worked for had a very generous training budget, so I decided to take full advantage of it. I applied, and started working on an evening certificate program in Project Management offered through TRIOS, using a Boston University curriculum. During this course, I met several mentors that would last through out my career. It was an exciting time in my life filled with idyllic philosophies, fueled by the bright promise of youth. I had been a PMI (Project Management Institute www.PMI.org) advocate for 3 years, following my discovery of this institution while living in Philadelphia, PA. The certificate program offered me formalized training in what had been my after hours passion. The funny thing is that out of a team of about 8 PM’s I was the only one interested in PMI. I saw this as an opportunity and took my rightful place as a PMI champion. I knew PMBok by wrought and believed that everything should follow a rigorous process. Little did I know that this would mark me with my Manager in a way I did not want to be singled out. This is when I started to learn about resistance to organizational change. All I can say in retrospect is ouch! After completing my certificate I went on to do a PMP Prep course offered by PMStar (Cindy Bell). The course was stationed in the P&G offices at Yonge and Sheppard. The group from this session was truly brilliant. Everyone was from P&G, except for me and another colleague from Nestle. I scheduled my exam a week after the crash course had ended and wrote the exam at a Sylvan learning center in Waterloo. This was at the end of January 2003. I remember completing the exam and raising my hands in triumph! I passed on my first attempt and was now a certified Project Management Professional (PMP). Upon receiving my certificate I realized that I was now part of an elite group numbering just over 60,000 individuals worldwide. While not a large group I felt proud of my accomplishment and held my head high. These days many other frameworks have risen to help shape the way that projects should be managed. But, one undisputable fact is that nowadays every business engages in projects. Thanks to PMI and the PMP, societies approach to business has changed. It’s all now project based delivery. While it is easy to criticize that the value of the credential has been diluted to the rapid growth, I believe that this is proof of Org Change Management on a global scale. Standardization is painful because you are trying to get everyone to do the same things. It’s hard to garner that buy in and especially when it comes to management, there are always too many cooks in the kitchen. A common approach to doing something allows for a starting point. That starting point is exactly what PMI has provided with the PMBoK. I for one am grateful for the training and lexicon of terms that allow me to move from project to project without re-inventing the wheel every time. Thanks PMP it has been a great decade and I look forward to new exciting challenges in the coming years. 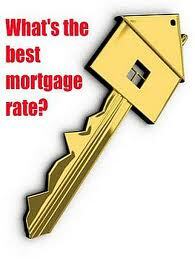 Toronto Mortgage Renewal 2013 – What Is The Best Rate? In 1999 I moved to Philadelphia and worked for a mid size mortgage broker. That experience taught me a great deal about consumer credit and the importance of a good credit score. It seems North America is driven by credit, and it is every citizens responsibility to ensure that they know what they are doing. The interesting part about this is that they are only now talking about teaching fiscal responsibility in High School. I find this a very interesting conundrum of our society. Recently I downloaded an app from Royal Bank of Canada that helps to teach young kids about money. I think this is a great educational tool and would recommend it. This all brings me back to the topic at hand. My family and I have lived in our home for the past 5 years. That means that we must now renew our mortgage. This is unfortunate because we have enjoyed a deep discount on our variable rate the past 5 years. While, the economy was melting down we enjoyed rates as low as 1.65%. Now-a-days banks do not offer the same deeply discounted variable rate mortgages that existed a few years ago. Therefore, the question is what to do next? One of my favourite websites is www.canadianmortgagerends.com . Rob McLister provides great insights into the mortgage industry and current state economic conditions. One of his posts, cited the fact that a good alternative to a variable is a 1 year fixed. This allows you to enjoy low rates and maintain your negotiation power. I like this idea, so I asked my Account Manager at RBC to provide me with the rates that we would qualify for. She responded with a bit of double talk around the discounts, and ended up on a 2.7 1 yr and a 2.89 5yr fixed rate. She also stated that this would only qualify for early renewal and that we could not lock in the rate. My response was that we would wait for now. At our current rate of interest and at the tail end of our 5 year term and amortization schedule, there is no way we would renew early. Over the next 8 payments I can put a significant dent into my principle and therefore, renew into a lower loan amount. Next steps… make appointments with Scotiabank and CIBC, to see who will provide me competitive rates for our renewal. They would of course have to pick up the transfer fees as well. I will post results of my investigation as they are available. Over the past several years I have taken a sabbatical from blogging. In place of the blog I have been working on a Linkedin Group I founded. 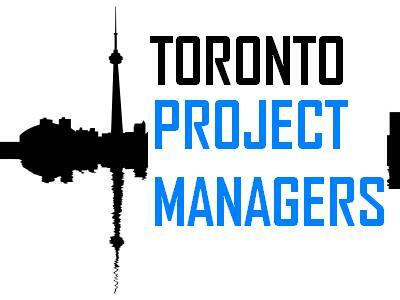 The group name is Toronto Project Managers . The group was founded on May 5th 2010 and now has close to 1,200 members. It has been a great experience and allows me to keep up to date on events, jobs and people in my city. I have been managing projects since 1999, and looking back on that time it is truly amazing at what has happened in the world. – The internet was born and took over our lives – The tech boom slowed down technology advancement – The US housing bubble burst and sent the world into a global recession. That is a very significant decade in-a-half! With the great recession now starting to recede and the economy getting back to normal the world is starting to focus on a different type of short coming in Canada.Productivity is the new catch phrase. While our dollar was low we attracted business via the discount built into the exchange rate. Now that we have currency close to parity with USD its a different story. Employees output and productivity is low and many corporations have targets for cleaning up their bottom lines. For years it didn’t matter how productive we had been thanks to our low $ and now Canada has fallen behind. According to Jim Flaherty today June 21st the first day of summer, with our dollar at parity cdn corp can now invest in the tools necessary and available for the new cause. For years the US has been finding ways to make their workers more productive in competitive markets. HR Transformation agendas have been at the forefront of many businesses down south for years. Usually spearheaded by SAP, PeopleSoft, and Oracle HR, with a sprinkle of best of breed apps for what is now known as talent management or strategic HR. After years of anonymity its great to see this now becoming a hot project in Canada. Now, lets do some simple math shall we…. If your a 100 person company with an average salary of 90,000 your payroll is 9,000,000 per year. Therefore, if you plan on spending 90,000 in a year on something as simple as tracking your staff vacation days (usually low hanging fruit) you could save that 1 percent in short order. Thanks to today’s tech you can pick up a robust HR suite for this price tag and implement module by module to save on budget. In return over a few years you have a talent management advantage against the companies that do not offer a self-service type HR experience to its staff and thus you improve employee engagement and your chances to attract and retain top talent. This example also scales and becomes even more compelling for an enterprise with tens of thousands in their workforce. Easy right? Sadly the idea of looking inward at your companies largest expense and most important asset its people, is not an easy transition for many. Its true that organizational change management would need to be used to ensure that the new systems and processes have the right backing and support. But, given that US companies have already lead the charge and now the wave is starting here can any enterprise afford to wait? I have been practicing PMI focused Project Management in the IT industry for over 10 years. In this time I have worked in 5 different IT focused Project Environments spanning the Weak to Projectized environments. The decision on what type of support Project Managers have to deliver projects is always determined Top Down by the C or Senior level executive. It is no surprise to me that my favorite environment was a projectized one. This is the experience I will write of here. The year was 2003 and IT was just starting to get over the dot bomb. I worked for a dot com darling that took advantage of a reissue of stock at its peak. Being cash and credit rich the internet marketing giant starting to acquire compatible businesses. I was part of such an acquisition and this is where my story begins. Working in the R&D department we prepared future releases of our best of breed e-marketing ASP. Engineering, QA and Project Management where based in Toronto, Executive in NYC and the Data Center in Denver. The engineering and QA teams ad augmentation in Pune, India. The company had several products and the one I worked on was mid tier with most of the revenue coming from the adserving powerhouse. This being the case it was never a challenge to get top level attention for our projects and the SVP and CIO for technology visited our Toronto office on a regular basis. Project Management rested on the shoulders of two PM’s for which I was one. We alternated releases and used a waterfall methodology. The functional managers from each area would dedicate resources to our projects based on sizing that would occur at the begining of the project cycle. Although PM’s did not have any direct report there was a close relationship between the functional and project managers. This close relationship equaled a strong input into the performance review process for the PMs. In general this allowed for a environment that was professional, driven and a lot of fun. Looking back I can honestly say that I have never worked with brighter, interesting and caring people. There where attempts by the senior exec to develop cross functional project management methodologies. Meetings would occur across product lines but critical mass was never achieved and I left this great role for a more lucrative ERP focused job what I now believe to be a bit prematurely. So in short my lesson learned from this experience was that a PM can get a great deal done so long as there is a direct feed into the performance review process. Whether that is a strong matrix or a projectized environment they both lend themselves towards addressing a power/responsibility gap that exists on many IT projects. Team members have that extra bit of drive when they know their PM can affect their yearly rating and eligibility for promotion. By their very nature projects depend on the individuals that work towards the engagements success. Project environments vary across industries and types of organizations. R&D projects tend to be be staffed by teams that are interested in technology and less extraverted while, consulting implementation projects are the polar opposite. The common thread in all projects is that it is up to organizational and team leadership to maintain high levels of job satisfaction and recognition. The recipe for success includes measuring levels of engagement, a regular regiment of team building and concise open communication. Measuring team engagment can be accomplished via a couple easy metrics. The first: how often is the team sick or requesting vacation. Project environments can be extremly demading and in some cases it may be forbidden to take time away. However, once this type of restriction lifts does the team rush to get away? Goal focused milestone time off is a great benefit for hard working IT professionals. However, frequent sick days and the need to constantly take a day off could be a sign that the team is suffering from malaise. Team building events can be defined as drinks after work, lunch and learns during the week or a full blown off-site company sponsored event. It is important to ensure that there are a mix of such activities for the project and organizational teams to help encourage cross functional socialization. Even the R&D stereotype enjoys a chance to mix and mingle with peers. Sharing of trials tribulations and more importantly success can go a long way towards making people feel like they are part of the big picture. This can in turn encourage better problem solving and insights into available career path thus improving retention rates and employee satisfaction in general. Open communication is critical at all levels and especially true in todays unceartin economic climate. Both successes and challenges will be discussed through out the company. By making sure the team is informed at regular intervals it is possible to control the flow of information and discourage conjecture and speculation. Whilst economic data is starting to show signs of improvement the employement rate is still very high on everyone’s minds. Many companies have down sized, right sized or made strategic cuts in the past several months. It is therefore even more important to help reasure the troops that business will continue and even may improve once conditions allow for it. In closing you may believe that much of the above imformation is common sense or even to simplistic. Keep in mind that is is often easy to overlook the simple fact that we are social beings that have a strong desire to belong. As a result treating a project or a company as an inclusive environment will help to encourage the individual parts towards greater achievements. While the war for talent may now be on hold there is no question that once things stabilize and the supply of available top talent dries up, it will be necessary to look inwards to increase productivity and success. The few organizations that start to see the forest through the trees early will have an undisputable competitive advantage.